Over 70 nations including Russia have sent their humanitarian missions to the tsunami torn Japan. Russian President Dmitry Medvedev has phoned Prime Minister Naoto Kan to express his deepest sympathy in relation to the natural disaster that has befallen Japan, informs Kremlin’s press-service. The prime minister thanked Russia for the support and real assistance. 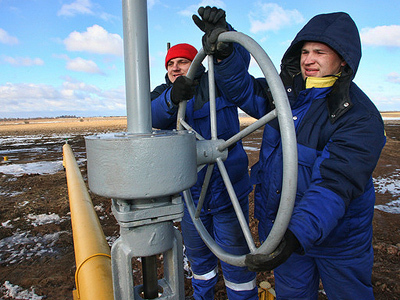 According to Dmitry Medvedev, Russia will do what it can to help its Eastern neighbor. "I spoke today to the Japanese Prime Minister – they are facing a grim tragedy, indeed a catastrophe on a national scale. Our goal now is to help our neighbor. I have ordered the government to assist, including boosting energy deliveries to help cope with power shortages in the wake of the disaster," he said. Prime Minister Vladimir Putin has already ordered extra shipments of gas to Japan, while asserting that the situation will not affect Russia's plans to develop its nuclear energy. "We’re not going to change our plans for developing nuclear energy, but we, of course, are monitoring and making conclusions from the situation in Japan. Our specialists are in close contact with their colleagues in Japan," Vladimir Putin said. Moscow has pledged to increase liquefied natural gas (LNG) and coal supplies to Tokyo as part of its humanitarian efforts. Deputy Prime Minister Igor Sechin said Russia is able to supply 200 tonnes of LNG in April and May to help Japan compensate the lost nuclear power generation. Those will have to be diverted from other contractors, but in a situation like this Russia’s partners will surely agree to such a move, he assured. Russians in Moscow and St. Petersburg have been flocking to the Japanese embassy to lay flowers and leave messages in a book of condolence in memory of the many thousands killed in Friday's quake and tsunami. Russian nuclear security experts go to Japan today to get a clearer picture of what is really going on at the damaged nuclear power plants, reports Interfax news agency. They will be on the same plane Emergency Ministry plane that is taking humanitarian aid and rescuers to Japan. Their task will be to learn the source and characteristics of radioactive emissions to model the situation and give precise predictions of its development. 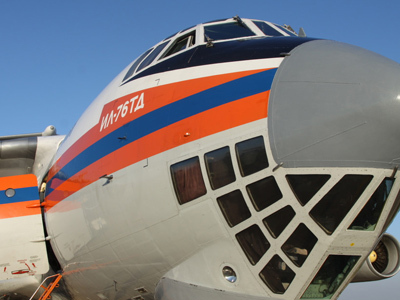 Russia’s first plane with humanitarian aid has landed in Japan. It has carried 50 rescue workers, rescue equipment, blankets, water, food and portable generators. Portable generators are now most sought after in Japan, which started experiencing electricity black-outs with tsunami hit nuclear stations. Japan’s government has announced that large parts of the country will be suffering power outages. Areas will be divided into groups and each one will have a three-hour blackout. It is all part of the plan to keep the country's crippled electricity grid operational. Russia has sent a helicopter to take 25 more rescue workers to Japan. The helicopter will later join the US aircrafts which are already delivering supplies to various base camps in the devastated country. Over 70 nations in total have sent personnel on Sunday to assist Japan in its response to the earthquakes and tsunami that have devastated the country. Washington has sent two planes, the second one arriving later Monday. The two groups, formed by the US Agency for International Development (USAID), include 150 rescuers and specially-trained dogs. Fifteen Chinese rescuers came to Japan on Monday morning. The group consists of 15 people, possessing rich experience of work in quake-stricken areas, including other countries. 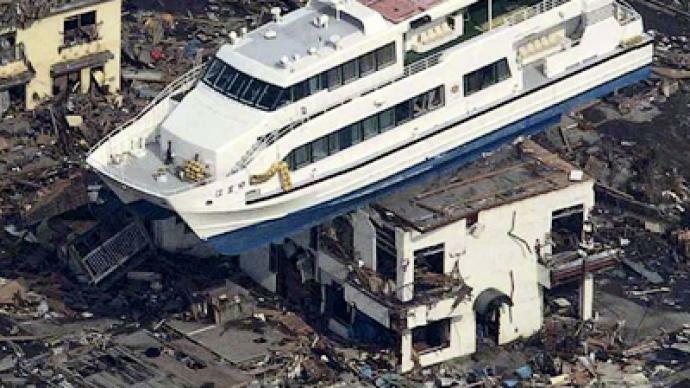 This is the first case in which Japan has accepted such aid from China. Rescue teams from Germany and Switzerland have also arrived in Japan. The German group includes 40 people, three specially-trained rescue dogs and over 15 tonnes of special equipment. Switzerland sent 25 people and nine sniffer dogs. The two groups went on Sunday to the area of the city of Minamisanriku, where over 10,000 people are considered missing, according to the Associated Press. 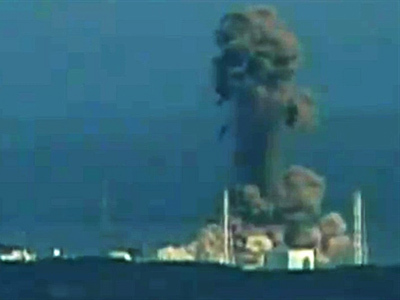 ­Russia is ready to dispatch experts in nuclear clean-ups in the wake of the blasts at Japanese nuclear facilities. The experts can offer the experience the country gained after the explosion at the Soviet plant in Chernobyl, which took place in 1986. ­A painful trip down memory lane. Aleksandr often goes to the thirty-kilometer Chernobyl exclusion zone in Ukraine, but every visit evokes sad emotions. Twenty-five years ago, what is now the ghost town of Pripyat was his home, before the fallout from Chernobyl changed everything. Aleksandr is one of hundreds of thousands, whose address changed after April 26, 1986. The Troeshina is one of Kiev’s youngest districts. In the 1980’s houses sprung up here literally overnight. Many of those who had to leave their homes in the Chernobyl area found their home here. A total of 300,000 people had to be re-settled from the contaminated territory. This new life came at a high price. For some reason, the Soviet authorities interfered with the evacuation from the contaminated zone. Fifty thousand Pripyat residents were subjected to a great deal of radiation. The town’s former deputy mayor says this dreadful mistake was caused by the mass confusion which followed the blast. “Those who ask the questions don’t quite understand what it takes to evacuate as many as 50,000 people. It simply cannot be done in one hour or in two hours. We brought 300 buses here. We had to inform people, get them together. But in the first place we had to understand whether we really needed to evacuate the people. Even the specialists at the first stages did not know whether the reactors were destroyed”, says Aleksandr Esaulov, who was the deputy mayor of Pripyat from 1980-1986. A quarter of a century since the disaster, the 30-kilometer area around the plant is a nuclear wasteland. The fallout period for radioactive particles is believed to last several thousand years, so this land will scarcely be inhabited ever again. However, some were not put off by the radioactive threat and decided to return after the Soviet Union collapsed. "When I was moved to Kiev,” says Savva Obrazhevich, Chernobyl resident, “they gave me a flat and a miserable pension. Not enough to make a normal living. That’s why we returned – our home is here, we grow our own food here. Besides, nowadays more people come to the zone. Cars pass by all the time. Many stop and bring us some food or money." As the news of a nuclear incident at the Fukushima plant in Japan broke out, the first thing the authorities did was to evacuate residents within 20 kilometers of the facility. Twenty-five years ago, people of the affected area were less fortunate. The reaction of the Japanese government suggests that the lessons of Chernobyl have, decades later, been learned.